How you dress says a lot. 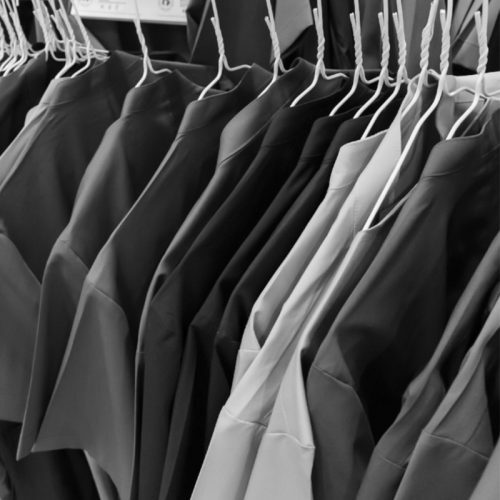 Whether you require business shirts & suits, work-wear, corporate wear, hi-visibility, sporting & casual uniforms, caps, pens, mugs or simply stylish t-shirts and polo’s we can expertly assist you with your unique uniform requirements. Our apparel printing is formal and functional, and we are capable of printing on any piece of clothing your corporation needs; Such as Polo Shirts, Collared Shirts, Vests and so much more. Our product offerings are so versatile that men or women will be able to wear it to events, conference meetings, and as corporate day to day attire. By having your staff wear logoed apparel, you will be showing solidarity and will also be branding your company name out to the world.